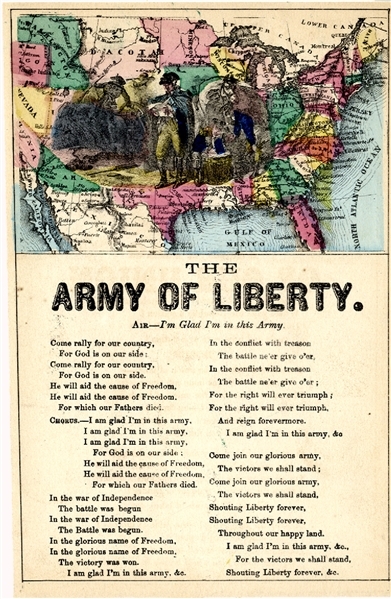 Hand-colored songsheet “The Army of Liberty” 1pp. octavo, with image of George Washington at center. Mounted, else about very good condition.